Facebook Fugitive Chris Crego Gives Police Plenty of Help, Current Status: "Arrested"
LOCKPORT, N.Y. (CBS) It seems pretty basic: if you're running from the law, don't keep updating your Facebook status. Apparently Chris Crego didn't get the message. 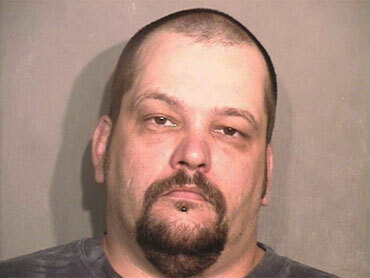 Crego was arrested for assault in the fall of 2009 stemming from a bar fight in Lockport, NY, a little north of Buffalo. Crego pled guilty, but didn't show for sentencing. Police issued a warrant for his arrest but he'd already left the state. Lockport Police Capt. Richard Podgers told CNN that detectives started looking for Crego on the Internet and quickly uncovered not only a Facebook page but also a MySpace account. Photo: Mugshot of Chris Crego from Lockport police. Crego posted his current residence as Terre Haute, Ind., and his place of employment, a tattoo parlor called Body Art Ink. He even included his work hours! There's more. Crego also proudly displayed the wanted poster of him that had been published in the Lockport paper, according to the Terre Haute Tribune Star. Lockport police contacted U.S. 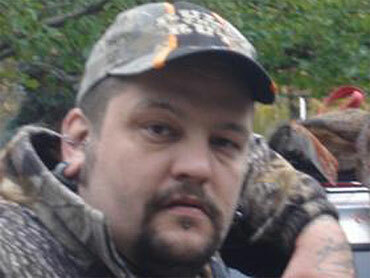 Marshals in Indiana, who easily tracked Crego down Feb. 3. He was being held on a preliminary charge of escape, with a bond of $25,000. "If it wasn't for criminals like him our job would be a lot harder," Capt. Richard Podgers said. The police even posted a thank-you note to Crego's Facebook page that read "it was due to your diligence in keeping us informed that now you are under arrest." Crego has a hearing April 5 on New York's request to extradite him, which he's planning to fight. Let's see if Crego tells us what he thinks of jail food in his next post.